From left to right: Kelley Holmes-Publisher of Quick Printing, Printing News, Wide-Format Imaging, MyPrintResource.com and the GRAPH EXPO Show Daily ; John Lugviel Rhin-O-Tuff Vice President Business Development; Randy Stewart President and CEO- Rhin-O-Tuff, Karen Lowery Hall Editor Quick Printing Magazine. At Rhin-O-Tuff, we’re all about pleasing customers. 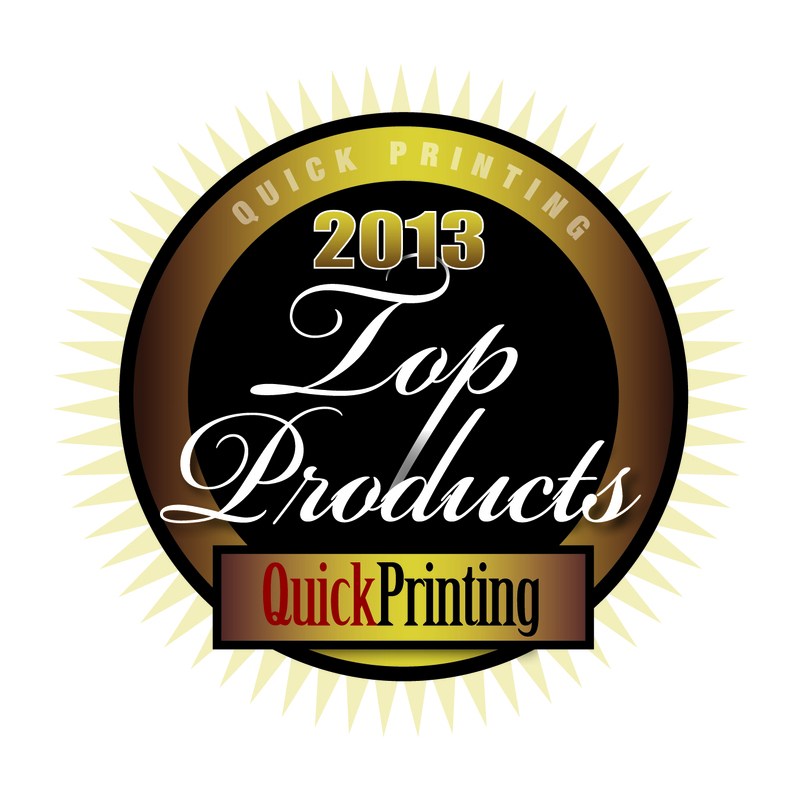 So when we recently received word that our Onyx Series received the Readers Choice award from Quick Printing Magazine for the top BINDING and BOOKLETMAKERS EQUIPMENT for 2013, we were delighted! At Print 13, a trade show held in September 2013 in Chicago, Illinois, we received a handsome plaque acknowledging the results of the vote. As winners, we were in good company. 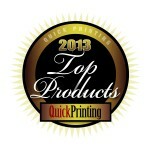 In the first year of the Reader’s Choice Awards, 20 other winners who delivered hardware and software to the printing industry were also honored for their contributions to the field. Our 21 companies, along with thousands of others who deliver services to commercial and corporate printers, strive to deliver value. Receiving a tangible acknowledgment that we have done so in a way that helps people run their business better makes us realize that we are on track in meeting the needs of printers large and small. 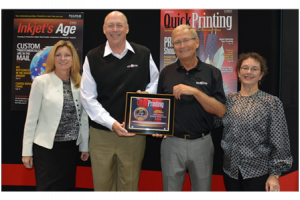 Click here to see a video of Vice President of Business Development, John Lugviel, accepting the award on behalf of Rhin-O-Tuff during the Print 13 awards presentation. The Onyx Series meets the need of our commercial and corporate customers for a full-featured tabletop binding system that works for both small and large volume jobs. Our machines feature patented quick change dies that can be swapped out in 30 seconds, which helps an operator easily transition from job to job with less downtime. Configured to handle jobs up to 11, 14, or 24 inches and up to 55 sheets thick, the wire, comb, spiral, and coil binding equipment that comprises the Onyx Series makes jobs in any size format a snap. We are proud to be a Reader’s Choice Winner for our Onyx Series binding equipment, and we will continue to be industry leaders as we strive to meet your current and future commercial printing equipment needs. Thank you for your support of Rhin-O-Tuff over the past 20 years! Congratulations to team Rhin-O-Tuff , John and entire team.